Enjoy fresh roasted coffee from Coffeeville Company. We are a small batch roaster. You will fall in love with the crafted blends! We roast, blend, package and ship coffee from our 6000 square foot warehouse facility located in West Bend, Wisconsin. 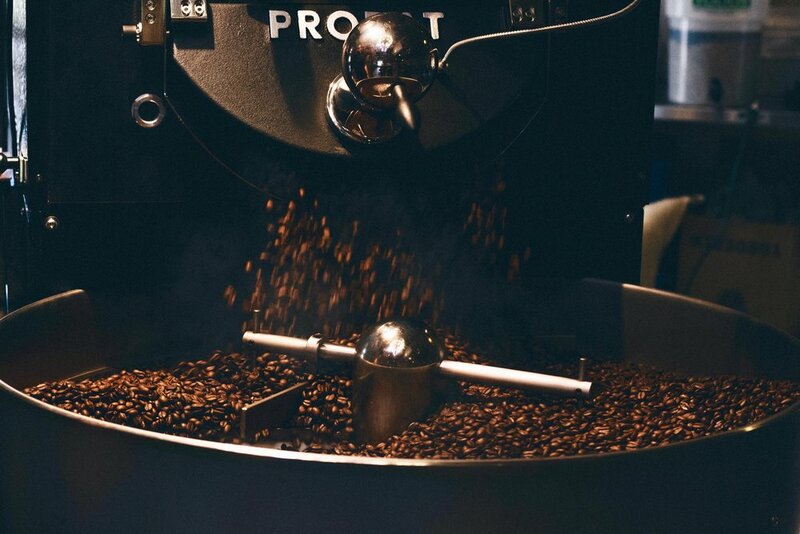 We use a state of the art Probat Roaster utilizing a combination of hand crafted care and technology to ensure quality and consistent results. The roasts are taste tested to guarantee they meet our requirements for sweetness, flavor and the highest quality standards. Private labeling is available. In addition to Coffee, Coffeeville Company is a small scratch bakery. All of our home baked goods are prepared daily from scratch using only high quality ingredients. We offer variety of muffins, cookies, cinnamon rolls, cheesecakes, cakes, granola, seasoned pretzels and more.